Nelson Ireson January 26, 2011 Comment Now! A revised version of the Honda Accord for Europe will make its debut at the 2011 Geneva Motor Show with a short list of updates, some minor, some more significant. Unfortunately the European Accord Tourer (wagon) still eludes us, leaving us with the apple-bottomed Crosstour instead. The list of updates includes revised interior and exterior styling, better emissions and fuel economy for all engines offered, a new 2.2-liter i-DTEC diesel engine rated at 138 grams of CO2 per kilometer, upgraded ride and handling, optional automatic high-beam and active cornering lights, and a new 176-horsepower Type S model. There's no word that any of these updates will feature in U.S. versions of the car, though we wouldn't be surprised to see the updated exterior and interior touches make the translation. Read the full presser for more details on page two. 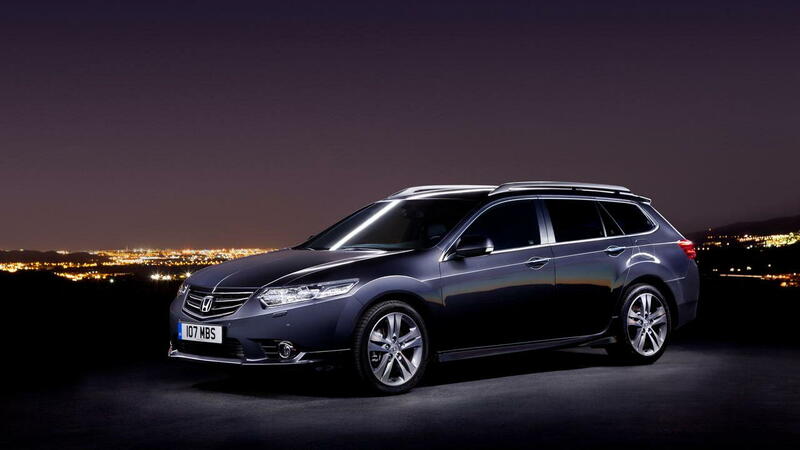 The revised Honda Accord sedan and Tourer models will make their debut at the Geneva Motor Show in March. Both cars receive a host of changes with the styling, emissions, ride and handling all enhanced for 2011. Both the sedan and Tourer have benefitted from small but noticeable changes to the head lights and bumpers to complement the changes under the skin. The head lights have been given a cleaner, crisper appearance with the previously amber indicators now in a clear finish. On top grade cars the lights are now bi-xenon and feature Active Cornering Lights to improve night time visibility. The grille has been subtly remodelled with the two central spars finished in the same chrome material as the outer grille, for a sportier look. The cooling duct and fog light recesses on all models have been re-profiled with the taper of these areas given a more aggressive line, giving the car a more planted appearance. The rear of the sedan model has been subtly enhanced with the rear lights having a light red finish for the reversing light and indicators to match that of the fog light, giving a balance to the rear styling. 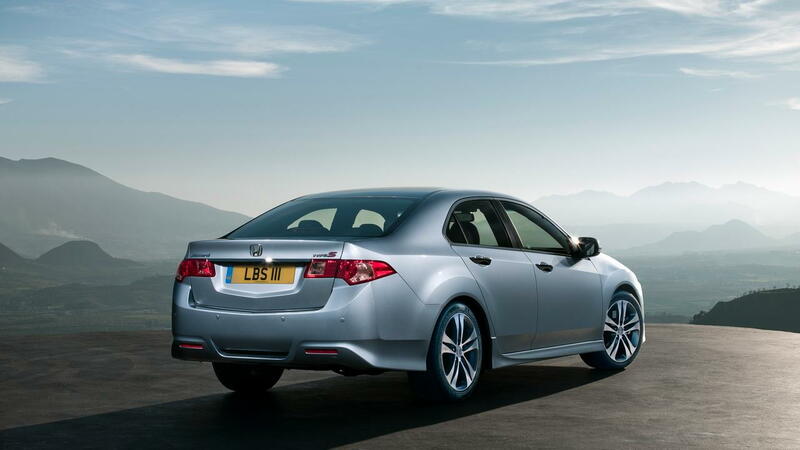 The exclusive styling of the sedan is rounded off with a light chrome garnish above the rear licence plate on most models and a dark chrome finish on Type S grade cars. The new exterior design cues are finished off with three new colours consisting of Alabaster Silver, Graphite Lustre and Celestial Blue Pearl added to the line up. The exterior styling changes have been complemented by a number of subtle changes to the interior with most grades having new seat materials and door linings, changing the ambience of the cabin. Type S models have exclusive half leather, seats in a dark grey finish and a black head lining to further distinguish the top grade. The metal-look finish interior trim that covers the hand brake, gear lever surround, steering wheel garnish, door inlays, with a red background and sweeps up across the centre of the dash is now in a darker hue, to complement the new interior fabrics. The footwells of the majority of models are now illuminated blue if the headlights are on and red on Type S models. The refined 2.2 litre 150 PS i-DTEC diesel engine has had internal frictional losses reduced to improve fuel economy and emissions. The result of these changes is an 9 g/km drop in CO2 emissions for the sedan with the 6-speed manual transmission and an 11 g/km reduction for the automatic variant. These internal changes have been combined with a host of underbody aerodynamic aids, including a larger front air dam, underfloor and a rear subframe cover Honda's engineers have also put effort into reducing the frictional losses in the wheels and tyres with low friction wheel bearings and reduced rolling resistance tyres. Accords equipped with Automatic transmission have also benefitted from minimised frictional losses in the gearbox and optimised ratios to improve economy and emissions. The already impressive NVH performance of the current Accord has been further improved with the adoption of higher density foam in the under bonnet and dashboard areas. The underfloor noise insulation has also been revised and teamed with additional sound deadening shields on the DPF and exhaust manifold cover of the diesel engine. The suite of noise reductions techniques is completed with a small 0.9 mm increase in the thickness of the rear window glass, improving the rear passenger experience. Engineers from Japan worked with their counterparts in Germany and the UK to further refine the dampers of the Accord Tourer and sedan for the vast range of road conditions found in Europe. Detailed refinement of the dual mode dampers has given improvement in both high speed stability for highway driving and a significant improvement in ride quality, even over poor road surfaces. One of the most visible changes to the top of the range Accords is the addition of Active Cornering Lights, which provide enhanced illumination when the vehicle is turning. Additional lights units have been subtly integrated into the existing lights units, casting all of their light to the side of the vehicle to help the driver in low visibility conditions. The light unit on the relevant side will be illuminated when the driver activates the indicators in that direction or turns the steering wheel more than 90 degrees. When the vehicle is in reverse, both lights will be activated to give a good view to either side of the driver. Another new lighting technology for Honda is the High Beam Support system, which is fitted on vehicles with the bi-xenon headlights. This system is controlled by a CMOS camera fitted to the windscreen in the area of the driver rear view mirror. The camera detects oncoming headlights or the taillights of a vehicle in front and automatically dips the headlights onto their normal setting if they are on high-beam. This allows the driver to fully concentrate on the road conditions, without having to manually control the high-beam setting. The new Accord goes on sale across Europe from April this year.